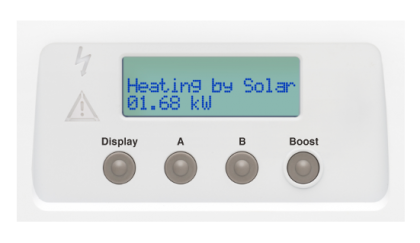 Using a single clamp installed at the household meter the sender transmits vital iBoost immersion heater controllerexport energy information to the Solar iBoost+ wirelessly. It intelligently controls and adjusts the flow of energy to the immersion in proportion with the fluctuating export levels. 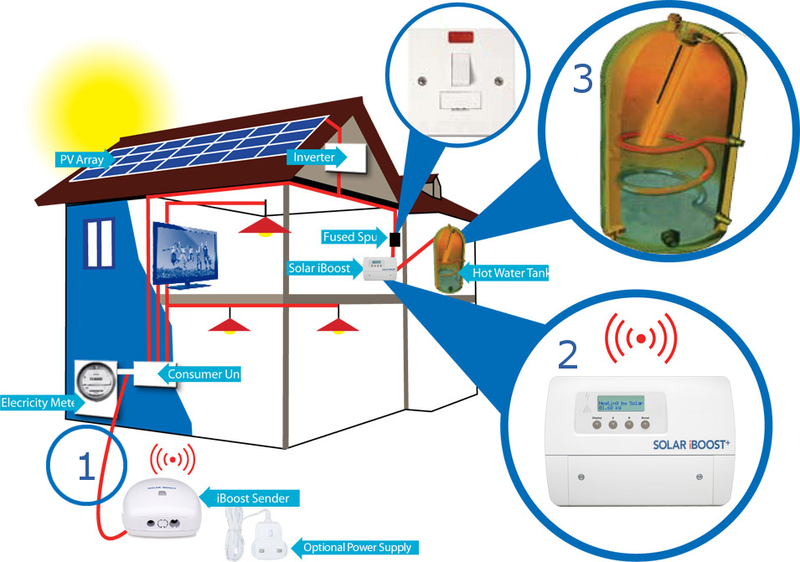 If you have invested in Solar PV for your home then you will already be aware that there are periods of “export,” when you can’t consume all the energy being generated by the array. Solar iBoost’s built in display means that you can watch your savings grow. Simply press the display button to see Saved Today, Saved Yesterday, Saved 7 Days, Saved 28 Days and Total Saved readings.